A meeting to exchange views titled “4-years of ENRICH: Looking back to Move Forward” was held on 26th of January at PKSF auditorium. 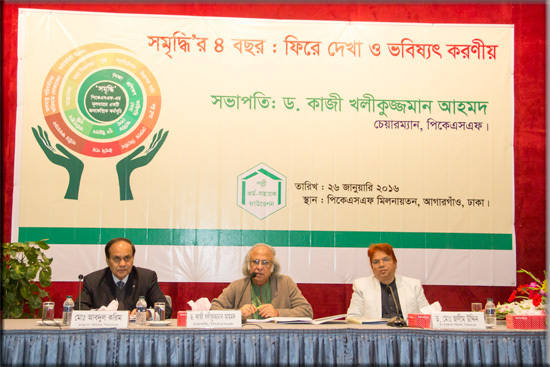 Dr. Qazi Kholiquzzaman Ahmad, Chairman, PKSF chaired the session. Mr. Md. Abdul Karim, Managing Director, PKSF; Deputy managing Directors and other senior officials were present at the meeting. 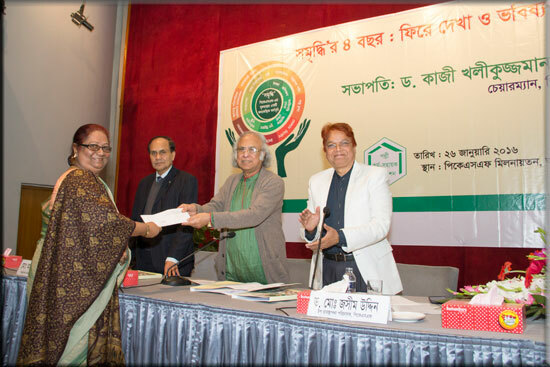 Dr. Jashim Uddin, DMD (A&F) gave a presentation on the ENRICH programme in which he referred to the research findings of the 3 separate studies. A total of 300 participants including all the Executive Directors and the Union Coordinators of the 111 Partner Organizations of PKSF participated in the event.